Need a PPO insurance policy? 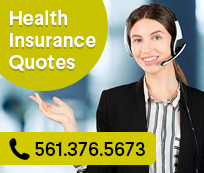 Delray Beach Health Insurance offers PPOS by Humana, Cigna and Aetna to our clients in the Delray Beach, Boca Raton and Boynton Beach area of South Florida. In a Preferred Provider Organization arrangement, insurance companies offer the insurance to you, but they have contracted with networks of doctors and hospitals that are 'preferred' by the company. Typically when using the preferred providers, the client will only have to pay a small CO-PAYMENT to the doctor ($15.00 or $20.00) before any deductible must be met. The preferred providers are contracted to charge a set amount for their services. Because of this, the insurance company can pass the savings along to you the consumer in the form of lower premiums, and there is a minor penalty for going out of the network. If you are looking for affordable health insurance for yourself, your family or your business, PPOs are a great choice. Learn more about PPOS, get a quote on a PPO or schedule an appointment by calling 561-732-4533. Our insurance agents service Boca Raton, Florida, Nothern Broward County and Palm Beach County, Florida. If you are ready to apply from anywhere in Florida, you can also click the Aetna and Humana PPO logos below to apply online. Unlimited doctor visits without a deductible. $15 generic prescriptions without a deductible. $1000, $1500, $2500, $5000 deductible. $20, $25, $30, $40 Dr, office co pay visits. Specialist, add $10, no referral needed. 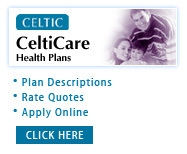 Preventative care, mammogram, pap, children. $35 Primary office visits $50 specialist.